Nothing too thrilling on the horizon as far as surf goes. 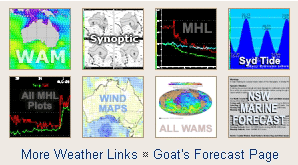 Small to medium mostly and with various winds. 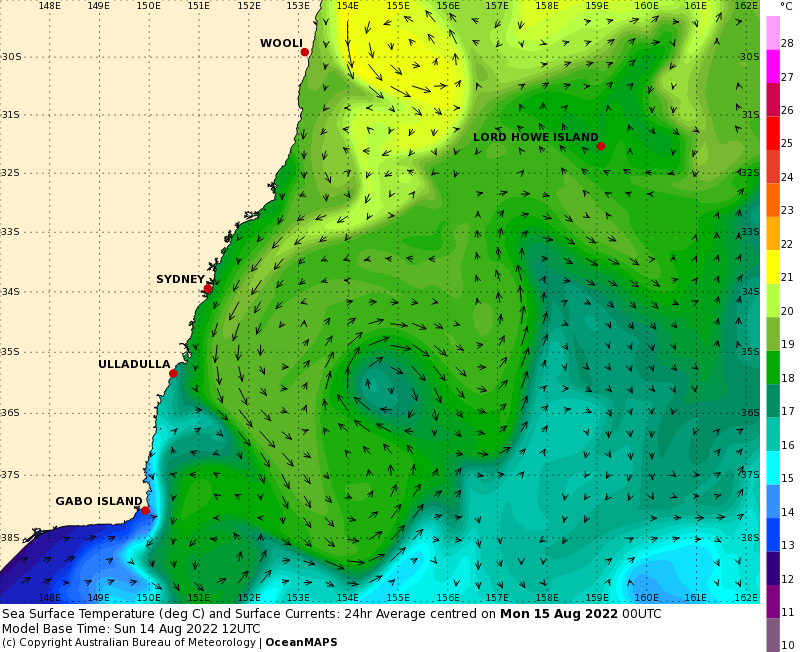 There are some times when light winds or slightly offshore are forecast and you might be able to jag a rideable wave. Otherwise… just relaaxx. Don’t forget to vote on Saturday. You know those animals they say can pick the outcome of elections… Well The Goat is running around like a headless chook! Don’t know what that means. Water temp is around 23, 24. Mostly cloudy. Medium (60%) chance of showers grading to high (80%) near the coast, more likely this morning. Winds south to southwesterly 15 to 20 km/h tending south to southeasterly 15 to 25 km/h in the middle of the day. Partly cloudy. Medium (40%) chance of showers, most likely in the afternoon. The chance of a thunderstorm in the afternoon. Light winds. Partly cloudy. Slight (30%) chance of a shower. Light winds becoming north to northeasterly 15 to 20 km/h during the afternoon then becoming light during the evening. Partly cloudy. Slight (20%) chance of a shower in the afternoon and evening. Light winds becoming southeasterly 15 to 20 km/h during the afternoon then becoming light during the evening. Partly cloudy. Slight (30%) chance of a shower. Light winds becoming northwesterly 15 to 25 km/h during the morning. Partly cloudy. Slight (20%) chance of a shower. Winds southwesterly 15 to 20 km/h. Partly cloudy. Slight (30%) chance of a shower, most likely later in the day. Winds south to southeasterly 15 to 25 km/h.